Libra rians pick the best books…. 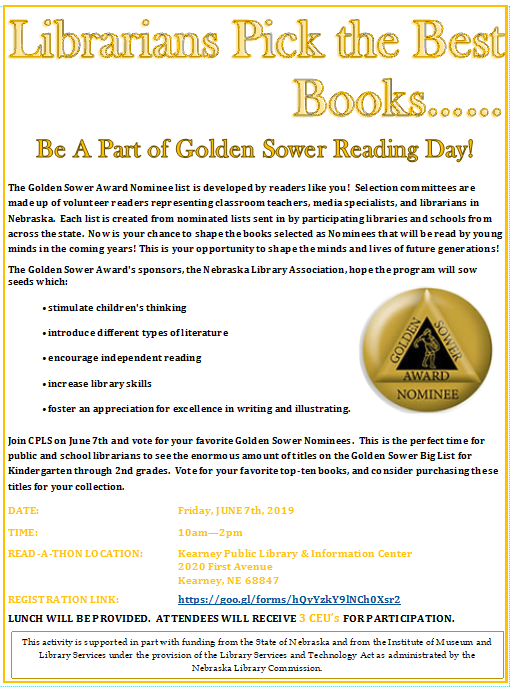 If you love reading the latest picture books, want to have a share in selecting the next round of Golden Sower Nominees, or just want to have an influence over the books for the next generation of readers join us for a Golden Sower Reading Day! It is sure to be a fun-filled session! For more information, please see the attached flyer and to get registered click here.